Masonic History Day featuring Dr. David Harrison, Saturday, May 18, 2012. About Dr. Harrison: Dr. David Harrison has written many articles and papers on the history of Freemasonry for a number of magazines and journals. He has worked as a history lecturer for over twelve years appearing at numerous conferences, and he has researched the complex and hidden history of English Freemasonry for his PhD at the University of Liverpool. His PhD was awarded in 2008, and was published in 2009 as a book by Lewis Masonic entitled ‘The Genesis of Freemasonry’. Harrison has also appeared on various radio programs including the BBC and was a guest on the controversial ‘On The Level’ program which featured on Sky TV, discussing his works. His follow up book ‘The Transformation of Freemasonry’ was published in September 2010 to great acclaim, and his third book ‘The Liverpool Masonic Rebellion’ was published in September 2012 by Arima Publishing. About the event: To be held at the Grand Lodge building, 18 Washington St., Dorchester, MA. This will be 3 events in 1: The morning with be a special communication of the Massachusetts Lodge of Research. Dr. Harrison will be the featured speaker. 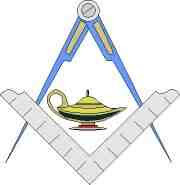 After lunch Dr. Harrison will conduct a special training on Masonic research. This will be restricted to 35 participants and will be at a cost of $35. In the evening we will hold a Festive Board in honor of Dr. Harrison. Tickets will be restricted to 75 participants at a cost of $50 each. Details can be found at the website: http://www.masslodgeofresearch.org. Taken from the Massachusetts Research Lodge website. Dr David Harrison is a Masonic historian and leading academic expert on the study of Freemasonry. He has lectured at the University of Liverpool and Hope University, and has worked as an archaeologist, specializing in industrial archaeology in England. Click here for more music by David Harrison. 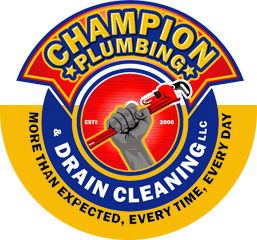 Champion Plumbing & Drain Cleaning is the most highly rated plumber and plumbing company in Woodstock, Canton, Jasper, Alpharetta, and Milton, GA.